Welcome in e-learningu Czech as a second language! The goal of e-learning is to help children and students of different ages who have just started learning Czech as a second language. We will teach you vocabulary, pronounciation, grammar and real life Czech. The content of the lessons and exercises are various topics related to school, family, leisure time etc. Would you like to learn Czech? First register here. E-learning is only in Czech. You will find here exercises for beginners. Exercises for other levels will be added in time. 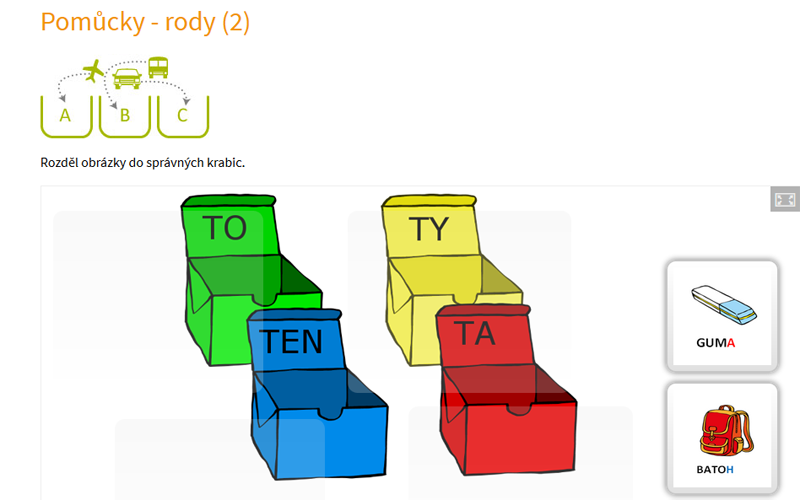 E-learning Czech as a seond language is divided into TOPICS. These topics are divided into LESSONS. You can practice GRAMMAR in separate units. For any further questions contact us at cestina2@meta-ops.cz. Each TOPIC is divided into LESSONS. In lessons you learn vocabulary and pronnounciation and spelling , grammar or real life Czech . There are exercises in each lesson.